Jeff Diamond The Human Jukebox Doing His Thing!! The Rat Pack "VEGAS BABY!" "Always Remember Jeff Diamond The Human Jukebox! The World's Most Dynamic/Interactive/One Man Band/ DJ/(Either One...Or Both) On The Planet That Sounds Like A Five Piece Band Is On Stage! Performing All The Hits From The 50'S To Current And Always Taking Your Requests! Let's Get This Party Started Right Now!" Also as an extra added bonus I will offer you and your guests the opportunity to come up if you want and sing using my karaoke tracks.. My whole goal is to make sure that you and your guests have the time of your life and will be talking about the event for a long time…. No need to spend $$$$ when you can hire me. I sound like there's a five piece band performing!! HAVE A DIAMOND DAY!! Jeff did a fantastic job, great guitarist and singer. Jeff played fantastic, clean sound and the crowd loved him. He had a lot of requests and made it a point to play every request. Great entertainer and we for sure would have him back again. Thanks, Toby, for all of your kind words I look forward to coming back to Iowa and working for you again if we do that Fourth of July gig that will be more than awesome have a diamond evening and rock on brother! 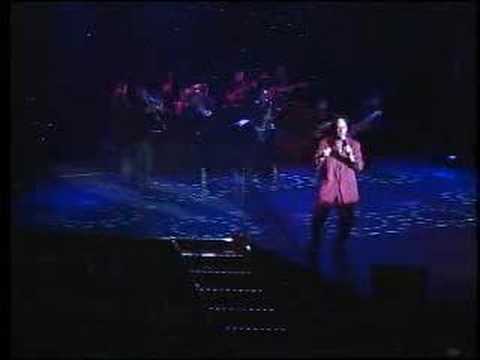 Jeff Diamond truly is a gifted individual who through his wonderful singing and fun personality leaves you wanting more. It was a pleasure to see be able to get to know him and how personable he is with you. For Valentine's Day he came to my wife's work to sing so I could dance with my wife, and it was great to feel lost between the music and my wife. If you ever need a singer, Jeff Diamond, is all you need!!! My wife and I are still smiling. Thanks Jeff!! Thanks for all of your kind words & your review. It was a pleasure to do this for you and maybe we'll get together again someday. HAVE A DIAMOND BLESSED DAY!! Simply the best! Super professional, very talented and fun! I would book Jeff to play at any type of event. He's very talented with all types of music. He took requests, was super fun with all the guests and exceeded expectations. He was very communicative and easy to do business with. Thanks so much for all your kind words. I'm happy that ya'll had a great time. I look forward performing for you again. HAVE A DIAMOND BLESSED DAY!!! Jeff is entertaining and professional, he was flexible with special requests ..... a personable musician! 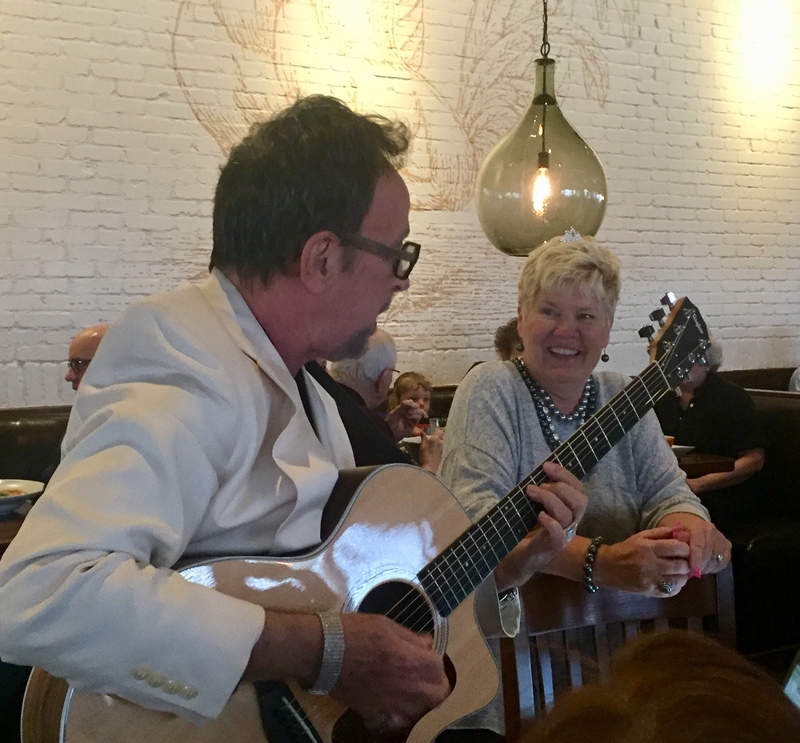 The Birthday Girl was thrilled with the surprise and enjoyed interacting with him as he played guitar and sang her favorites. Thanks, Kate, for all of your kind words..That was quite the party!! Everyone had a great time as well as the guests dining at the other tables in the restaurant!! LOL...Have a Diamond Day!!! 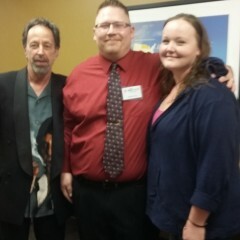 Thanks to Jeff Diamond for traveling 100 miles each way to perform for my sister’s birthday with less than a days notice! He did a great job! I was very happy. I do wish that he would have had a stand for his camera when he did live video, as the person that helped wasn't a great camera assistant. Not his fault though. Did a great job of helping us celebrate my husband's 40th birthday. Lots of fun. Jeff did a wonderful job preparing for our event. His performance was great and fun! Everyone loved his music and had a great time. He was very personable. Wonderful singer, polite!! Thanks Maggie for your very kind words and review...HAVE A DIAMOND DAY!!! Jeff Diamond rocks! He was there before time, and has everyone talking even days after. He is professional and great at what he does. Thank you, Jeff, for making a moment. They are memories that will never be erased. Thanks so much for your kind words. It was my pleasure to perform for you & Jennifer and all the guests. HAVE A DIAMOND LOVE FILLED DAY!!! Jeff did a very good job! Jeff sang happy birthday, a Johnny cash song, a Willie Nelson song, and an Alan Jackson song. The birthday girl was totally surprised, and her co workers even got her to dance! He did a great job! Thanks Holly for your kind words. Everyone including the birthday girl had an Awesome time!!! Please keep me in mind for any future events...HAVE A DIAMOND NIGHT!!! Jeff was great to work with. He was entertaining for all ages. His songs and audience interaction was awesome. He had everyone laughing and smiling. Thanks Robn for your awesome review!! I appreciate all of your kind words! I had a BLAST!! We sure had all the guests really enjoying themselves!! HAVE A DIAMOND DAY!!!! Jeff played and sang for our condo Christmas party. He played the songs we asked him to play and did involve his audience. He is an accomplished guitarist. Thanks Patti for all of your kind words. I truly enjoyed performing for you and the guests. The really loved it! HAVE A DIAMOND DAY!!! Jeff played all of our sing-a-long favorites and everyone had a great time! Thanks Michelle for all of your kind words I truly enjoyed entertaining for you and your guests I hope we'll be able to do it again sometime!!! Jeff exceeded my expectations! He sang for my mom’s 90th birthday and his choice of songs pleased her and the crowd. I got lots of compliments for booking him! Thanks Deb for your very gracious compliments. Working for you at the Catholic church social room I not only got paid but blessed as well(LOL) A two for one proposition! A good bet anytime!! HAVE A DIAMOND DAY!! Jeff did an amazing job and was very creative and helpful. He listened to all of our ideas and did everything he could to make the night special. He was hilarious and all the guests loved his act! Jeff was a surprise 15-minute guest at my daughter's 30th birthday party. He sang 3 Sinatra songs (her favorite) and finished with a Hey Jude singalong. Great fun, lots of laughter, and a lifelong memory! Thanks Tom for all your kind words. Good fun and cheer were had by all These are the kind of gigs I love to perform at.. ...you have yourself a diamond day! Thanks Jim, I'm truly glad that your wife enjoyed my performance. I love performing for people like you!!. You have yourself a DIAMOND EVENING!!! Put the party over the top! Transformed a standard party into a truly memorable event. Thanks Paul for your very kind words I really enjoyed myself I met a lot of super awesome folks keep me in mind for your next event have a diamond day! 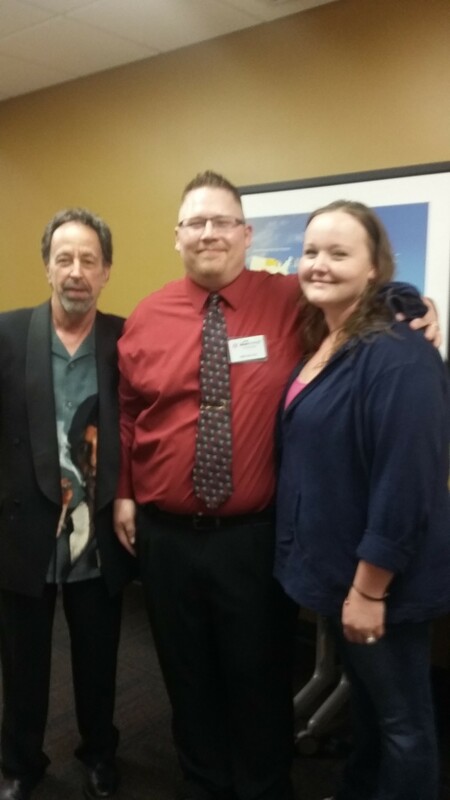 Jeff was very personal and accommodating for our special event. The audience loved him. I would strongly recommend him and use his services again. Thank you so much for your kind words it's always a pleasure to work for somebody like yourself and I'm glad that your mom and her friends loved it have a diamond day! Jeff Diamond could NOT get through one song without his equipment failing. He took no ownership that it was his fault, he blamed our WI-FI connection and became extremely rude and un-cooperative with my daughter and my husband when they were talking to him to find out what the issue was and when it would be fixed. He was there for a couple hours and all we got were 3 half played songs before we told him to leave. This story is nothing less than fake news here's what really happened I showed up 3 hours early did a sound check got started and things were going great and I played 45 minutes before I started to have equipment malfunctions this is the first time this has ever happened to me performing.. I was trying to figure out what was going on thought It possibly could be the internet connection that the Father Tom Johnson gave me because he wasn't even sure himself if the internet connection was working properly and I started performing again then worked a total of 15 minutes and my equipment went out again actually it was the computer that was causing this problem I felt bad that this it happened and after the third time his daughter and Tom Johnson(both drunk) came up to me and the daughter called me every name under the book also insulting me calling me a M/F a-hole I'm a piece of s*** and everything else that you could think of and the father just stood there and I said I'm sorry this happened I didn't do it intentionally and then finally the father said you've got one more chance and I said after that after I got insulted and everything else that happened I just said maybe we should just call it a night then he said you got 15 minutes to get off my property so I packed up and left so the truth is I didn't play three songs I work for a total of about an hour and I had at least a half a dozen guests come up to me and said they felt sorry for me and that I sounded great and even two of them tipped me which I didn't want to take the tips I told him to give it to charity. I guess that's what you get when you're dealing with a low class family such as this one the father also stated we don't need you we can just play music off my sound system. Also when I was getting my equipment packed up in my car I noticed that the daughter that was cursing and cussing at me was with some guy trying to cause damage to my car. A terrible situation that I hope I don't encounter ever again! Thanks for the very kind words and review. I truly enjoyed myself and I'm glad you did as well. I look forward performing for you again in the future..HAVE A DIAMOND DAY!!! Jeff did a fantastic job at our annual Dog Days Shindig! 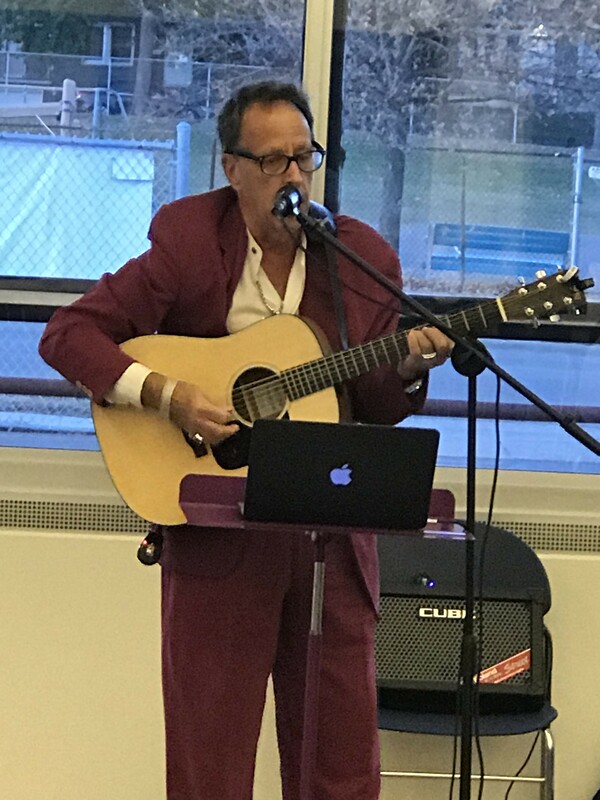 We had 150+ people attend throughout the course of the day...and Jeff’s evening performance was definitely the highlight of the day within an 8+ hour party that had many facets. Thank you Jeff, for entertaining us! You have mad skills on that guitar! Thanks Kent for your kind words I enjoyed myself....I look forward to working with you again in the future have a diamond day! Very awesome & would highly recommend Jeff. Jeff did an outstanding job of entertaining our crowd. He''s very personable, sang extremely well, & sang all the songs we asked him to sing. He threw in a few jokes & even danced with my 80 year old mom. Our crowd truly enjoyed having him. Thank you Jeff. It was my pleasure thank you for your kind words we certainly did have a great time didn't we? I look forward to entertaining y'all again sometime have a diamond day! Jeff was very personable. He interacted well with my guest and made the event vet enjoyable! Additionally, he is a very good artist and you can tell his love of music when he plays the guitar! Thanks for your kind words!! Have A Diamond Day!!!! Thanks so much for your very kind words!! You have a beautiful family! It was my extreme pleasure!! GO VIQUEENS!!! jeff was enthusiastic from the start about performing an original song he wrote for my brother's birthday! he was early, even though he wasn't feeling well that day, and he played as long as everybody wanted him to and took requests. overall just a genuinely nice guy and an excellent performer! Thanks for all of your kind words. I enjoyed performing for you and your family & friends. They are truly very genuine and great people. Hope we can do it again sometime! HAVE A DIAMOND DAY!!! Great surprise and entertainment by Jeff was fabulous!!! My Son Duane's 50th birthday surprise was on point with hearing his favorite Elvis Songs done so professionally and the fun created by this Singing Telegram was so much more than we expected. Our group loved it so much they may use for one of their future parties!! Jeff surprised my boyfriend at work to sing him a love song. Good experience, easy to work with. I appreciate his willingness to travel and learn something new. It was more expensive than I think it was worth. LOL Then why did you book me in the first place? If you were that price conscious you should have hired someone else..LOL Remember when you want top talent that's willing to go the extra mile for you... you're going have to pay for it! Good Luck!! Jeff was great to work with and put on a great show. Everyone loved it!!! Thanks Jeff!! thank you for your kind review I understand that you posted the video on Facebook to the Zumbrota Ford page and something funny that happened my banker from Wells Fargo Justin who's going to marry a girl that knows you saw this video and now Justin wants me to go out and sing for his fiance LOL again thanks for hiring me I enjoyed myself and hope to entertain for you again sometime have a diamond day! I hired Jeff to come to the Nicollet Island Inn to serenade my Valentine's Day Eve dinner date. He sang six beautiful love songs that I picked out. She and I LOVED it and not only did we dance to his songs, but other restaurant couples danced at their tables as well. I'd highly recommend Jeff if you need a singer at your event. Thanks for your kind words & comments. I had a GREAT time entertaining you and your date. Let's do it again sometime!! HAVE A DIAMOND DAY!!! Went above and beyond to provide a nice surprise singing telegram. Was very prompt with getting in touch for details on my goal. Thank you so very much Jeff Diamond. My pleasure. I'm so glad that you were happy with my performance. Your sister in law was very surprised and loved the Beatles tunes. I even sang an extra song for her. HAVE A DIAMOND DAY!!!! Jeff responded very quickly to my inquiry - and was responsive, engaged, and very helpful. He showed up very promptly for our event and did a great job performing a couple of songs that we had completely re-written the lyrics to. Thanks Katie, I had a BLAST! It was great performing for you and your guests. The man of the hour Michael looked like he was surprised and had a wonderful time...HAVE A DIAMOND DAY!!! Jeff is fun and kept the party going! Wonderful. Great evening of entertainment. Thanks for your kind comments. It was a fun evening. I look forward entertaining and performing for you again. HAVE A DIAMOND DAY!!! Thanks for your kind remarks. I'm glad everyone had a great time. HAVE A DIAMOND EVENING!!! Jeff was sent in "blind" to my brother's 60th birthday party in other state, when my husband and I were unable to attend the party. He was hired to do the Pharrell Williams "Happy" song with "because you're 60" inserted into the chorus, and also stayed to take requests. We were told that he was a hit and the quality was way beyond a "singing telegram" and it was great to surprise the man who has everything. Excellent Performances. Jeff is a God around here. I manage a senior building within an apartment complex with 650+ apartments. For the last 3 years we have hired Jeff to provide entertainment for our complex for our National Night celebration and for one New Years Eve party. Jeff's ability to engage a crowd with a very wide repertoire for music from the 1940s to the 2,000s is amazing. I have never heard a request that he has not been able to fill to the delight of everyone. The first thing we do after a performance, is book him again for the next year. Every time Jeff delivers what you want for entertainment without any hassle He is truly a one man band. Lastly, while every performance is flawless I would be remiss if I did not comment on the skills he has playing the guitar. It is magical. 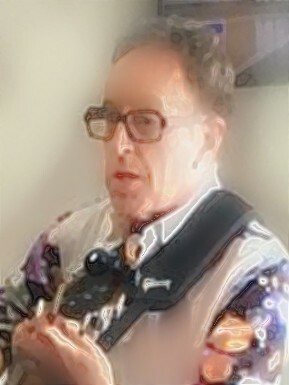 If you hire Jeff to perform for you, you will not be disappointed.....and as Jeff would say "Have a Diamond Day"
It's always a pleasure to perform for you and I look forward to this year as well don't forget you're invited to come up and sing a set of your favorite Tunes with me have a diamond day! Jeff Diamond wowed the event crowd. We hired Jeff to preform at an annual fall party that Char and I host at the end of August each year. His had the crowd singing and dancing all night. We also asked him to work a set in with the evening fireworks, which he done with a patriotic theme. 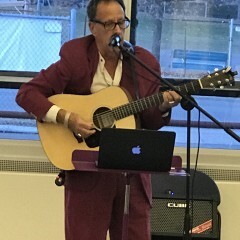 Jeff was able to combine the theme with his vocals and expert guitar picking to overwhelm the crowd. Needless to say, we have asked Jeff to preform again this year. Thanks Bob for your very kind remarks. I had a great time last year and I can't wait until next month when I'll be performing for you again. My Americana set show along with your terrific fireworks display should garner up a fabulous response when we get it on you tube. See you in August..HAVE A DIAMOND FISHING DAY!! Thanks Jim, You and Linda are the greatest! I love England so much and I can't wait to see you guys again and perform for you. As always ALL MY BEST & DIAMOND LOVE!! The main thing to consider is you want to hire a performer/entertainer/musician that knows how to read a crowd and knows what to perform and at the right time. I perform for the guests not myself and take requests based on this premise. My years of experience performing all over world brings this out when I hit the stage! Entertaining/Engaging That's what I'm all about!! THE GUESTS ARE ALWAYS MY NUMBER ONE PRIORITY AND ALWAYS WILL BE!! "Always Remember Jeff Diamond The Human Jukebox! 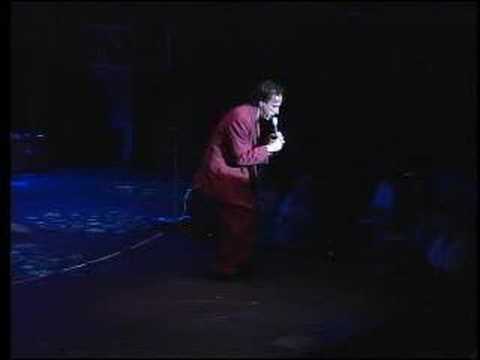 The World's Most Dynamic/Interactive/One Man Band/DJ On The Planet That Sounds Like A Five Piece Band Is On Stage! Performing All The Hits From The 50'S To Current And Always Taking Your Requests! Let's Get This Party Started Right Now!" Just to let you know I have the unique capability of offering you not only my live full band sound but also performing as a DJ. I have years of experience working all over the world ..performing and entertaining at all types of venues.. . Also as an extra added bonus I will offer you and your guests the opportunity to come up if you want and sing using my karaoke tracks.. My whole goal is to make sure that you and your guests have the time of your life and will be talking about the event for a long time…. . Song lists available by request.. My web site is www.jeffdiamondmusic.com Again..ALWAYS REMEMBER JEFF DIAMOND THE HUMAN JUKEBOX! PERFORMING ONE GREAT HIT AFTER ANOTHER FROM THE 50'S TO CURRENT AND ALWAYS TAKING YOUR REQUESTS! LET'S GET THIS PARTY STARTED RIGHT NOW! 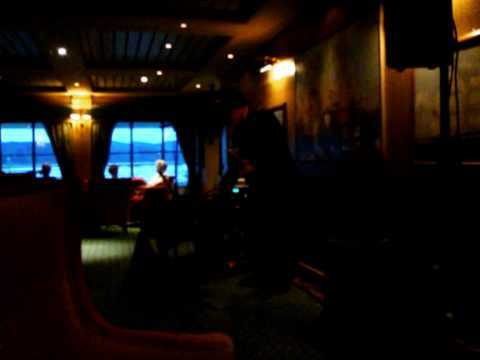 Listened and met you on the Braemar 2008 Caribbean Xmas and New Year Cruise, You played our requests each evening at 8pm in the crowded lounge. 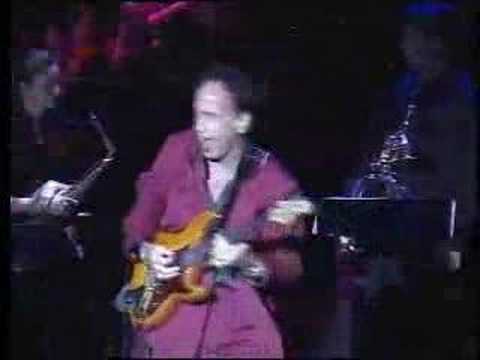 Elvis and Jimmy Buffetts songs, remember?. You were great. Hope to see and hear you again. Regards Eric Conyers and family. 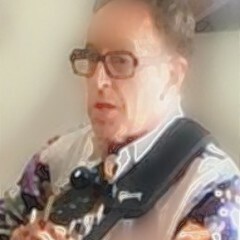 In particular we would just like to mention that the Morning Light Pub had an entertainer called Jeff Diamond, he was the best we have ever seen, his rapport with the audience was second to non, asking what songs and music they would like to hear and making jokes with the audience was great. He made everyone feel so happy and comfortable and the pub was packed each time he played in there. He also did a show in the Coral Club and this was outstanding, he not only performed he introduced other acts and had again a great rapport with them, the show actually got a standing ovation. 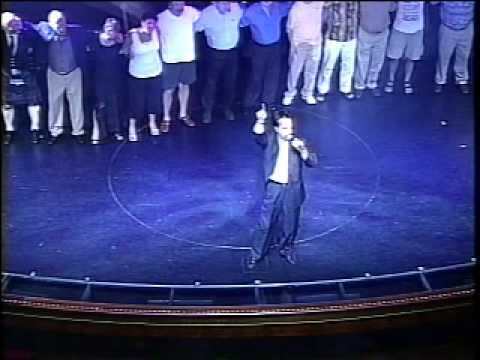 We and many others would like to see this entertainer Jeff Diamond again on your cruise ships, I think he is a great asset to your entertainment programme, After he finished his act, he took the time to walk around and talk to the passengers and they loved him for this as well. If he saw you somewhere else on the ship he also took the time to talk to everyone, what a great entertainer!!!! I hired Jeff Diamond to perform at my special birthday party at OakRidge Country Club in Hopkins Minnesota on October 10th. He was the hit of the party. My guests loved his music and didn't stop dancing all night.They all raved about how he made the whole evening so extra special Because of that he has been booked for future parties at the club. You will not be disappointed and will be pleasantly surprised. Review of Jeff Diamond as an Outdoor Musician! As you can tell by the pictures of our party – the Franklin Co-op offers a particular kind of difficulty when hiring entertainment. Our co-op houses people from 40 different countries, different socio-economic backgrounds, and from ages 1-88, which provides a challenge to our entertainers in providing music for everyone. We also require that our entertainment be able to set up outside, haul their own equipment, and be very flexible. Jeff Diamond was great! His music was enjoyed by all our residents – he’s the first musician in years to get some of our residents to dance. He also was happy to include the children, allowing them to read some poetry they wrote, and even sing with him. Some of our residents from other cultures requested that he allow them to play their music on his equipment – and he obliged them! Also when an unpredicted downpour occurred he was a real professional and continued performing. We received nothing but complements from our residents on the performance quality, flexibility and resilience of Jeff Diamond as an entertainer. We’d recommend him for any type of situation as he was absolutely outstanding!! !